So you have yourself a website. Congrats! Getting yourself a website is a huge step in the marketing your business game. So you are all set. Right? Not quite. Now we install Google Analytics. Google Analytics is a must have for anyone who has a website. While you might think you know everything about how your site is performing and who your audience is, without looking at the actual data, you’re probably wrong. Google Analytics provides you with that data so you can be well informed about your site’s performance. 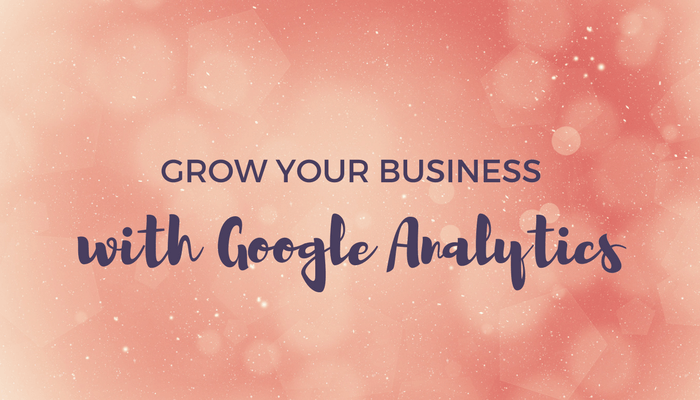 Google Analytics is one of the most powerful tools you can have as a small business online. It will let you see how many people are coming to your website, from where, how long they’re staying and much, much more. To put it simply, Google Analytics is a free tool that lets you see what’s going on with your website traffic. Regardless of whether you get 1,000s of visitors or just your parents, it’s important to keep a regular eye on your traffic analytics if you are serious about growing your business. I get it. Google Analytics can be a little intimidating. There’s a lot of information that just doesn't make sense. But that’s okay. You don’t need to know everything in order to use it to your advantage. Knowing how your audience interacts with your website is crucial to your success. The best way to know your audience is through your traffic stats, and this is what Google Analytics provides. Google Analytics helps you make data-driven decisions by showing you the stats that matter. Audience: Who are these people? Acquisition: How do they get to your website? Behavior: What do they do once they get there? Conversions: Did those website visitors do what I wanted them to do? There are many, many additional questions that Google Analytics can answer, but these are the ones that are most important for most website owners. Google Analytics provides a lot of data. More information than you’ll ever need. When I talk with people this is where they get stuck. They don’t really know where to begin. You have to go into Google Analytics already knowing what questions you want answers to. This will allow you to keep focused on getting the information you need. When you go into Google Analytics ask yourself: What information do I need to make my next decision? Scenario One: You’re going to re-design your website and you want to find out more about how people are using the website currently. You want to get an idea of the most popular parts of the website and also the least popular. Solution: The Behavior reports are the right place to get this information, particularly the Content report. This will tell you how many times people visited each page and what pages they visited before and after so you can get an idea of their travels on your site. Scenario Two: Everyone around you is going on about how important it is to be mobile friendly. But you’re not so sure. You want to figure out how many people are using mobiles to visit your website and how much they are worth. Solution: You need to visit the Audience reports and look for “Mobile”. This will tell you how many visitors you get from mobile, even what type of mobile they use. Have I have convinced you of the benefits of installing Google Analytics on your website? Having Google Analytics empowers you to make smarter decisions for your business online. I’ve only just scratched the tip of the iceberg with what you can do in analytics, but I hope I’ve given a clear idea of the type of information you can get from analytics and what you can do with that information. Remember, know what questions you want answers to before you check your analytics. This will give you the best results. Are you tracking your analytics? If not, get on it!